The first systems for continuous glucose monitoring (CGM) became available over 15 years ago. Many then believed CGM would revolutionise the use of intensive insulin therapy in diabetes; however, progress towards that vision has been gradual. Although increasing, the proportion of individuals using CGM rather than conventional systems for self-monitoring of blood glucose on a daily basis is still low in most parts of the world. Barriers to uptake include cost, measurement reliability (particularly with earlier-generation systems), human factors issues, lack of a standardised format for displaying results and uncertainty on how best to use CGM data to make therapeutic decisions. This scientific statement makes recommendations for systemic improvements in clinical use and regulatory (pre- and postmarketing) handling of CGM devices. The aim is to improve safety and efficacy in order to support the advancement of the technology in achieving its potential to improve quality of life and health outcomes for more people with diabetes. This scientific statement was reviewed and approved by the American Diabetes Association Professional Practice Committee and the EASD Committee on Clinical Affairs in May 2017 and ratified by the American Diabetes Association Board of Directors and the Executive Committee of the EASD in May 2017. This article is being simultaneously published in Diabetes Care and Diabetologia by the American Diabetes Association and the European Association for the Study of Diabetes. Continuous glucose monitoring (CGM) is a method of continuously following glucose levels in the interstitial fluid as a basis for improving metabolic control. This includes increasing time in the target glucose range by reducing hyperglycaemia and minimising the occurrence of low glucose values (including symptomatic hypoglycaemia). The international diabetes community has welcomed the introduction of CGM systems. However, daily use of these devices is associated with challenges, including potential risks. There are several ways in which CGM functions. It can either be blinded to the user or viewed in real time. The device sends data continuously to a receiver, which allows alerts and alarms to be provided to the wearer. Recently, a form of CGM known as ‘flash’ glucose monitoring (FreeStyle Libre; Abbott Diabetes Care) became available from one manufacturer in some countries. Although this device is based on similar technology, daily costs are lower and no calibration is required; however, alarms are not provided for high and low glucose values. Interstitial glucose levels are measured continuously, but as data are not transmitted continuously from the sensor, the results are available only when the sensor is scanned with a reading device. Full 24-h data can be captured and downloaded if the sensor is scanned at least every 8 h. This latter form of CGM will be described here as intermittently scanned continuous glucose monitoring (isCGM) . The glucose sensors of most CGM systems are inserted subcutaneously and worn externally by the user, although implantable CGM devices are also becoming available . Following an evaluation of insulin pumps , the same working group of the American Diabetes Association (ADA) and the European Association for the Study of Diabetes (EASD) has now evaluated CGM and related technologies from a clinical perspective. The aim was not to replicate published position statements and guidelines on CGM technology [4, 5, 6] but instead to consider how healthcare professionals, CGM manufacturers, regulatory authorities, policymakers and consumers can best ensure effective and appropriate use of CGM as the technology continues to develop. As only limited clinical trial data are required for approval of glucose monitoring devices, larger trials are often performed at a later stage with the aims of convincing payers to provide reimbursement and providing guidance on appropriate use. As such trials usually take three or more years, the marketed version of the CGM device has often been updated or modified by the time of publication. The rapidity of this development cycle means that a scientific statement can never be definitive or comprehensive and requires regular updating. Our goal was to assess current clinical and regulatory aspects of CGM within this rapidly evolving landscape in order to encourage cycles of improvement in device performance, clinical outcomes and utilisation. We make a number of recommendations (indicated in the text as numbers/letters in rectangular brackets), each targeted at relevant stakeholders involved in delivering safe and effective use of CGM. We gathered evidence by searching PubMed from inception until end of November 2016 using the search terms ‘continuous glucose monitoring [Title/Abstract] OR real-time glucose monitoring [Title/Abstract] OR subcutaneous continuous glucose monitoring [Title/Abstract] OR continuous measurement of glucose [Title/Abstract]’. We supplemented this with information from recent trial publications, abstracts, web-based resources, regulatory authorities (including their databases), manufacturing companies and our own clinical experience. Growing evidence supports the benefits of using CGM: the studies and clinical trials reviewed below suggest that adults with type 1 diabetes who wear a CGM device most days can improve glycaemic control without increasing risk of hypoglycaemia, while those already close to target HbA1c can maintain control while reducing risk of hypoglycaemia. In children and adolescents, achieving adequate adherence remains a significant barrier, although usability has improved with current-generation CGM devices in this age group [2b]. In the JDRF trial , 322 adults and children (≥ 8 years of age) with HbA1c 53–86 mmol/mol (7.0–10.0%), more than 80% using continuous subcutaneous insulin infusion (CSII), were randomised to receive one of three different CGM devices (Dexcom SEVEN [Dexcom], MiniMed Paradigm REAL-Time Insulin Pump and Continuous Glucose-Monitoring System [Medtronic], FreeStyle Navigator [Abbott Diabetes Care]) or usual self-monitoring of blood glucose (SMBG). A significant improvement in the primary outcome of change in HbA1c at 26 weeks (−0.53% [95% CI −0.71 to −0.35] [−5.7 mmol/mol (95% CI −7.7 to −3.8)]; p < 0.001) was observed only in the subgroup defined by age ≥ 25 years. This improvement was strongly associated with wearing the device for ≥ 6 days per week . In the recent Multiple Daily Injections and Continuous Glucose Monitoring in Diabetes (DIAMOND) study, in which 158 adults on multiple daily injections were randomised (2:1) to CGM (Dexcom G4) or usual care for 6 months, baseline HbA1c (70.5 mmol/mol [8.6%]) improved by 11.0 mmol/mol (1.0%) with CGM and by 4.3 mmol/mol (0.4%) with usual care (adjusted mean difference 6.5 mmol/mol [0.6%], p < 0.001); adherence was high . A further large crossover trial is in progress using the same device , and supportive cross-sectional real-world data are available (with the various marketed devices) . The potential for CGM to take the place of (rather than augment) SMBG recently gained support from REPLACE-BG, an open-label randomised trial of 226 adults with well-controlled type 1 diabetes (HbA1c 54.0 ± 7.6 mmol/mol [7.1 ± 0.7%] at baseline) that compared CGM only with CGM and SMBG. SMBG in addition to CGM had no effect on time in range (3.9–10.0 mmol/l [70–180 mg/dl]), the primary endpoint . For this reason, the US Food and Drug Administration (FDA) recently (December 2016) approved a specific CGM device (Dexcom G5 Mobile CGM System) to replace fingerstick glucose measurements in people ≥ 2 years of age with diabetes, although twice daily fingerstick calibrations remain necessary . Some evidence with isCGM is also now available in type 1 diabetes. In the recent IMPACT trial, 241 adults with type 1 diabetes and HbA1c 58.5 mmol/mol (≤ 7.5%) (68% treated with multiple daily injections; 32% with CSII) wore an isCGM device (FreeStyle Libre) for 14 days without access to glucose results. This period was then compared with a subsequent 14 day period when access to data was provided. The primary endpoint of time spent in hypoglycaemia (< 3.9 mmol/l [< 70 mg/dl]) was reduced by almost 90 min per day (p < 0.0001) with isCGM, while time in hyperglycaemia (> 13.3 mmol/l [> 240 mg/dl]) was reduced by just over 20 min per day (p = 0.0247); there was no change in HbA1c over this short period . Currently there is limited evidence to support the use of CGM in this large group of individuals; further studies are required [4a, 4b]. 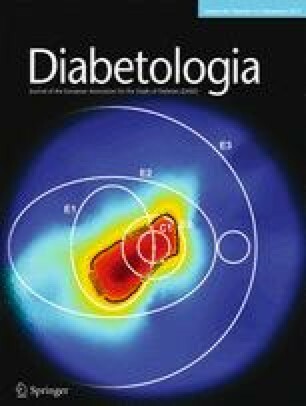 In a single-centre controlled trial, which randomised 100 people with type 2 diabetes on a variety of therapies (excluding prandial insulin) to either SMBG or intermittent use of CGM (Dexcom SEVEN), a significant improvement in HbA1c from a baseline of 67.2 mmol/mol (8.3%) was observed over 12 weeks for CGM vs SMBG (11.0 ± 12.0 vs 5.4 ± 8.7 mmol/mol [1.0 ± 1.1% vs 0.5 ± 0.8%]) . The improvement was sustained (although attenuated) over a 40 week observational follow-up period (8.7 ± 16.3 vs 2.1 ± 14.1 mmol/mol [0.8 ± 1.5% vs 0.2 ± 1.3%]) . These data require replication using other CGM devices and in other populations with type 2 diabetes but provide support for periodic use of CGM in those using basal insulin . In the case of isCGM, a 6 month trial (REPLACE) (FreeStyle Libre) in people with type 2 diabetes on basal-bolus insulin therapy and a baseline HbA1c of 72.7 mmol/l (8.8%) showed a significant reduction in time in hypoglycaemia (by almost 30 min) but no change in HbA1c, the primary endpoint . A number of formal summaries of the CGM literature have been conducted [25, 26, 27, 28, 29, 30, 31, 32]. Although this suggests that the field is coming of age, review of the existing evidence base has generated diverse conclusions, ranging from ‘limited evidence’ (Cochrane review)  to fully supportive [28, 29, 30]. In only two of the meta-analyses have individual patient-level data been combined. Both of these showed a small improvement in HbA1c with no change in rates of hypoglycaemia [4, 28]. The others used mean values and took different approaches to inclusion and exclusion criteria, pooled data from CGM systems with different performance characteristics, and/or focused on studies financed by particular manufacturers  [3b]. The heterogeneity of the outcome of the meta-analyses performed indicates that a more standardised and systematic approach  is required to avoid reaching inappropriate conclusions that could undermine the value of CGM [2f]. The design of most CGM systems has improved markedly over the years. For example, changes that are fundamental from a safety perspective have occurred at least in part because the FDA and other regulatory authorities began to require human factors studies prior to market approval  [1a]: these include more accurate glucose measurement, more audible alarms, and easier-to-read displays. Optimising the technology to overcome as many of these issues as possible requires a high level of cooperation [5d] between all relevant stakeholders: regulatory agencies, manufacturing companies, academic researchers, research funding bodies, health professionals, medical associations, patient groups and consumers (as per the specific recommendations below). A number of different combinations of CGM systems with insulin pumps are available on the market in Europe and more recently in the USA. Trends towards reductions in the occurrence of mild and severe hypoglycaemic events when using such combinations have been reported [35, 36] but also challenged . These represent an intermediate step towards automated insulin delivery (AID) systems . Rapid development has led to the recent market approval and launch of the first hybrid closed-loop system (MiniMed 670G; Medtronic) . Reliable CGM system performance with accurate, uninterrupted glucose information is a key component for safe and effective performance of AID systems, i.e. ongoing automated adjustment of subcutaneous insulin infusion (with or without glucagon) according to ambient glucose levels. However, if there is an undetected malfunction, missing data transfer, or the algorithms do not handle the CGM data adequately, a clinically relevant adverse event can clearly ensue [3a]. As with CGM, there are likely to be rapid improvements in AID systems from one generation to the next that will challenge the pace of clinical evaluation (see above) and demand standardised outcome measures [19, 20, 21] [1c]. The glucose sensors of CGM systems measure glucose in interstitial fluid, as opposed to SMBG, which measures glucose in capillary blood. Although few formal studies have been published with modern sensors, the assumption that interstitial glucose measurement results can be calibrated to capillary blood glucose accurately and be reliably used as a basis for therapeutic decisions may be less warranted during periods of rapid changes in glycaemia. In the postabsorptive state, there are measurable differences between capillary blood and interstitial fluid glucose. A study published in 2003 estimated that at an ambient glucose of around 11.1 mmol/l (200 mg/dl), change in interstitial glucose over time was ≅15% lower when glucose was increasing and ≅20% higher when glucose was decreasing [3a] . Such discrepancies between blood and interstitial fluid are potentially compounded by both physiological and ‘instrumental’ time delay (i.e. while the measurement takes place)  and by exercise. Adjusting the insulin dose on the basis of CGM glucose values therefore carries—at least a theoretical—risk of over- or underestimation with obvious attendant risks . However, despite these concerns, interstitial glucose concentrations from CGM appear sufficiently robust for successful use with AID systems [38, 39], and recent data suggest increased time in target when insulin dosing decisions are taken on the basis of CGM as opposed to SMBG . Time trends in glucose concentrations may be more informative than infrequent single time point estimates using SMBG, even if the latter are more accurate from an analytical point of view. Glucose variability—total SD (within-day or between-day), interquartile range (IQR), coefficient of variation (CV), mean amplitude of glucose excursions (MAGE), mean of daily difference (MODD), continuous overall net glycaemic action (CONGA) and others have been described [20, 41, 42]. As stated above, reporting results from CGM trials with these diverse and nonstandardised measures prevents robust comparisons between and among studies, hampers meta-analyses, and complicates interpretation of the evidence by payers and regulatory agencies [1d]. The Ambulatory Glucose Profile (AGP) has been recommended as a potential universal software report that could be adopted to standardise summary metrics among devices and manufacturers . As with regular blood glucose meters, in daily practice most CGM users never actually download data from their devices . No systematic evaluations have been reported on the information most often used in daily life to guide insulin adjustment decisions, i.e. whether individuals with diabetes mostly rely for decisions on insulin dose adjustment on the current glucose value, the glucose profile over the previous few hours, or the ‘trend arrow’ (which indicates when the blood glucose is rapidly falling or rising but differs in format between devices) [44, 45] [3e]. Scientific knowledge concerning the safety of CGM usage in daily life is limited. Many interesting user comments on safety aspects of CGM systems can be found on internet blogs but are of limited generalisability. The manufacturers (as with insulin pumps and other medical devices) are required by the regulatory agencies to collect and report the customer complaints they receive for their product. However, the total number of CGM users is unknown, as the numbers sold and operating are not currently reported (i.e. there is no denominator) and data are not reported in formats that are sufficiently consistent or easily searchable to be helpful in improving safety. For example, on the FDA database for medical devices (Manufacturer and User Facility Device Experience [MAUDE]), issues attributed to user error cannot be filtered from those considered potentially device-related. A search for reports involving ‘Enlite’ or ‘Dexcom’ (in order to identify CGM systems from specific manufacturers) showed quite different results. Problems specific to CGM systems, such as skin reactions, sensor failure or hypoglycaemia, are not searchable terms. As the database can be searched by ‘event type’ (death, injury, malfunction, other) and due to our focus on safety, we searched under ‘death’ and ‘injury’, restricting to 1 month each year due to the large number of monthly events listed. From Table 1, it is clear that reporting procedures for these two device manufacturers differ substantially and change over time. Many of the reports of death could not have been related to the CGM systems, as the harmed individual was not wearing the glucose sensor at the time of death, but were noted by the manufacturer as CGM supplies were no longer required. Although we found several reports of death due to hypoglycaemia while wearing a CGM system, none were considered a device issue. Our working group initiated discussions with the FDA with a view to reaching a better understanding of current safety reporting procedures. The FDA was willing to communicate directly with us, but as the responsibility for reporting customer complaints rests with individual device companies, we did not obtain any data additional to those already publicly available via MAUDE [2c]. We also sent a set of five questions to the four CGM system manufacturing companies: Medtronic, Dexcom, Abbott Diabetes Care and Roche. All provided complete and informative responses. The most interesting variation was in response to the question ‘most common patient complaints reported through FDA’s MAUDE system?’. While one company provided specific answers, another replied that it considered this information confidential. In our view, this latter approach illustrates a fundamental impediment to improving the safety of CGM systems: if safety data reported for regulated health products are considered proprietary and are not made publicly available, a cycle of safety improvement cannot occur [1f, 2c]. CGM is primarily a diagnostic technique and cannot be expected to improve glucose control per se any more than weighing scales can be expected to reduce weight. Without appropriate training, users of CGM may not be able to make optimal usage of the information provided. Even in diabetes clinics, CGM data may not be optimally used. For example, physicians and other healthcare workers may have varying levels of familiarity with the different approaches used in the different systems and/or data interpretation software available from each manufacturer [5b]. In addition, time and/or financial constraints often do not permit sufficient discussion with individuals, so the potential benefit of CGM is often not achieved. To date, as most training programmes have been developed and delivered by manufacturing companies, they focus on technical aspects of their own products rather than optimal usage of CGM as a technology to improve diabetes therapy. Training is not routinely available either to providers or users on how to react to the measurement results, either in real time or retrospectively, and few programmes have been systematically evaluated to determine their effectiveness. There are only a few company-independent teaching programmes (SPECTRUM in Germany , International Diabetes Center webinars in the USA  and one website ) supporting visualisation and analysis of glucose data from SMBG, CGM, and isCGM [2d, 5b, 5c]. isCGM is increasingly being used without training because it can be ordered directly from the manufacturer online and can be used without input from healthcare professionals; however, a training programme is under development. At present, costs of CGM are reimbursed for people with type 1 diabetes (but not type 2 diabetes) < 65 years of age by most commercial insurance companies in the USA. Following the FDA ruling in December 2016, the Centers for Medicare & Medicaid Services (CMS) Ruling CMS-1682-R in January 2017 approved coverage of ‘therapeutic CGM’ (i.e. to replace fingerstick testing) in insulin-treated individuals with type 1 and type 2 diabetes (using the Dexcom G5) in the USA . In Europe, CGM is reimbursed in only a few countries (including Germany) [50, 51]. This heterogeneous coverage also reflects the weaknesses and gaps in clinical evidence highlighted above. The few formal cost–benefit studies that have been published are open to interpretation and sensitive to assumptions made in the underlying models [51, 52] [1e, 3d]. Perhaps not surprisingly, CGM studies supported by manufacturers are more supportive than those performed by payers. However, some companies perform studies by providing funds and devices to an independent site that acts as a coordinating centre and has independent oversight of the trial conduct and data analysis. Having realised the potential of remotely accessed CGM for monitoring their children’s glucose control when away at school or university and frustrated that no commercial devices offering this facility had reached the market until recently, some parents of children with type 1 diabetes developed custom-made solutions by ‘hacking’ commercially available CGM products and releasing codes for other users (The Nightscout Foundation; www.nightscout.com; Twitter handle #WeAreNotWaiting)  [2g]. While the underlying motivation is completely understandable and will likely stimulate larger companies to continue to innovate, such informal solutions raise safety concerns and present a challenge for the regulatory establishment, as open-source software is not regulated by regulatory agencies like the FDA. There are also issues of privacy and consent [1g, 2h]. The Nightscout Foundation community continues to grow on Facebook, although the first cloud-based CGM systems with remote connectivity are now commercially available. Such remote support is not reimbursed but, insofar as they are used, manufacturers increasingly have the capacity and means to interact directly with users, supporting sharing of measured glucose values with healthcare professionals and learning from anonymised ‘big data’ . This approach has enormous potential, but automatic downloading of CGM results on servers owned by manufacturers also carries risks and complexities in terms of liability, consent, privacy and data protection . Use of CGM in school settings is a new challenge to be addressed. Due to differences in legal tradition, there is a higher sensitivity to these issues in Europe, particularly when data are transferred across national boundaries to largely US-based manufacturers. Guidance on cybersecurity of medical devices has recently been published , and the use of an international data ‘safe harbour’ has been proposed as a solution  [1g, 2h]. In clinical trials the roles of SMBG and CGM technologies substantially overlap. CGM has great potential for supporting clinical development, e.g. of new insulin products and other glucose-lowering agents in people with both type 1 and type 2 diabetes. Analysis of continuously registered glucose profiles provides much more information about the impact of drugs on ambient glucose levels than any form of episodic SMBG (e.g. seven-point glucose profiles). For example, the frequency of nocturnal or total daily hypoglycaemic events as determined by CGM could be used as a clinical trial endpoint [1d]; no other feasible alternative technology for accessing nocturnal hypoglycaemia is available. For CGM to provide evaluable endpoints, consensus on definitions of the various levels of time in range and hypoglycaemia (in clinical practice and by CGM) is urgently required among payers and providers [21, 43]. There has been some very recent progress on this topic . If the FDA and other regulators were to accept such consensus definitions, CGM could have a significant impact on the development and refining of new diabetes treatment options. The same technology could be used for better studies of physiology and pathophysiology, e.g. understanding glucose metabolism during exercise and feeding in health and disease. A virtuous cycle could be created with increasing evidence for the value of monitoring technologies, improvement in these technologies, and demonstration of the favourable economics of wider availability. The FDA’s Center for Drug Evaluation and Research, which regulates drug therapies, recently examined new definitions and standards for measuring glucose control and other patient-reported outcomes beyond HbA1c in clinical trials, and expressed willingness to continue a series of meetings in an attempt to reach a consensus . The FDA’s Center for Devices and Radiological Health (CDRH), which regulates devices and diagnostics, is supportive of the use of data from appropriately standardised CGM devices for clinical trials, as it has approved numerous trials using devices that regulate insulin delivery based on CGM values [36, 39, 59]. The CDRH has generally requested that investigators utilise the key glucose outcome metrics outlined by Maahs et al  in the Consensus Report on artificial pancreas outcome measures for clinical trials. Great progress has been made in CGM technology in recent years , but several barriers remain that prevent it from reaching its full potential either as a method for improving glycaemic control in diabetes (with sufficient rigour for payers to reimburse) or as a means of assessing the efficacy of diabetes therapies (e.g. a novel insulin potentially associated with lower rates of hypoglycaemia). Insufficient evidence of clinical utility and reliability and the lack of consistent reimbursement contribute to limited use of CGM across large populations of people with diabetes who could potentially benefit. A more concerted commitment to seeking robust evidence by industry, regulators, clinical and technical experts and funding and patient organisations is required for the necessary trials to be conducted and for the field to progress. CGM is a critically important technology for enabling AID systems. With further confirmation of the safety and utility of freestanding CGM technology, a more widespread uptake might be achieved. We envision an ongoing role for the ADA, EASD and other professional medical associations in supporting the virtuous cycle of CGM innovation, confirmation of value to users, increased utilisation and greater resources reinvested to support innovation. For this vision to be realised without further delay, we call upon regulators and manufacturing companies to work urgently with health professionals and people with diabetes to create an environment with much greater standardisation of outcome measures, a high level of attention to safety issues and full transparency of adverse event reporting. The authors would like to thank K. Close (www.closeconcerns.com) for providing comments on this scientific statement from a consumer perspective. No honoraria were received by the members of the ADA–EASD Diabetes Technology Committee (AEDTC) for writing the manuscript or associated meetings, although travel costs were covered by the EASD and ADA. Most of the members of the AEDTC work with industry, as listed below; however, the industry is considered to have had no impact on the manuscript or its content by reviewers from the ADA and EASD. JRP has served on an advisory board for one company manufacturing medical diagnostic devices (Alere) and for a number of companies manufacturing pharmaceuticals used in the treatment of diabetes. ALP has been a consultant for Medtronic MiniMed and has received a grant from the Medtronic/MiniMed Foundation; she has served as a consultant and/or speaker for multiple non-device-related companies. RMB has done clinical trials and consulted or served on a scientific advisory board for Abbott Diabetes Care, Becton Dickinson, Bayer, Dexcom, Eli Lilly, Johnson & Johnson, Medtronic, Novo Nordisk, Roche Pharmaceuticals and Sanofi; he receives no personal income from any of these activities as any payment goes to the non-profit Park Nicollet Institute. RWH coordinates the German/Austrian Prospective Diabetes Follow-up Registry (DPV) initiative, which has been supported by Novo Nordisk, Medtronic, Roche Diagnostics, Boehringer Ingelheim and Eli Lilly through institutional research grants; he has not received any personal honoraria. GAF is President and CEO of Kinexum, which advises multiple health product companies in the fields of metabolism, cardiology, oncology and dermatology; he was formerly Group Leader, Division of Metabolism and Endocrinology Products, FDA. LH is CEO and part owner of Science Consulting in Diabetes; owns part of Profil Institut für Stoffwechselforschung in Neuss, Germany, and ProSciento in San Diego, CA; and is a consultant for a number of companies that develop novel diagnostic and therapeutic options for diabetes therapy, including Roche Diagnostics, Sanofi, Abbott Diabetes Care and Medtronic. No other potential conflicts of interest relevant to this article were reported. All authors made substantial contributions to the conception and development of this statement. ALP led on acquisition of data, RWH led on liaison with manufacturers, and LH produced the first draft. JRP led on subsequent drafts in collaboration with all of the co-authors and coordinated revisions in response to critiques. All authors approved the final version to be published.